The potential landing site for NASA’s next Mars mission, InSight, has now been narrowed down to four locations. All four are close to each other in the Elysium Planitia region, a large plain near the Martian equator. The four locations were narrowed down from an initial list of 22 candidates. InSight is scheduled to be launched in March 2016, landing six months later. 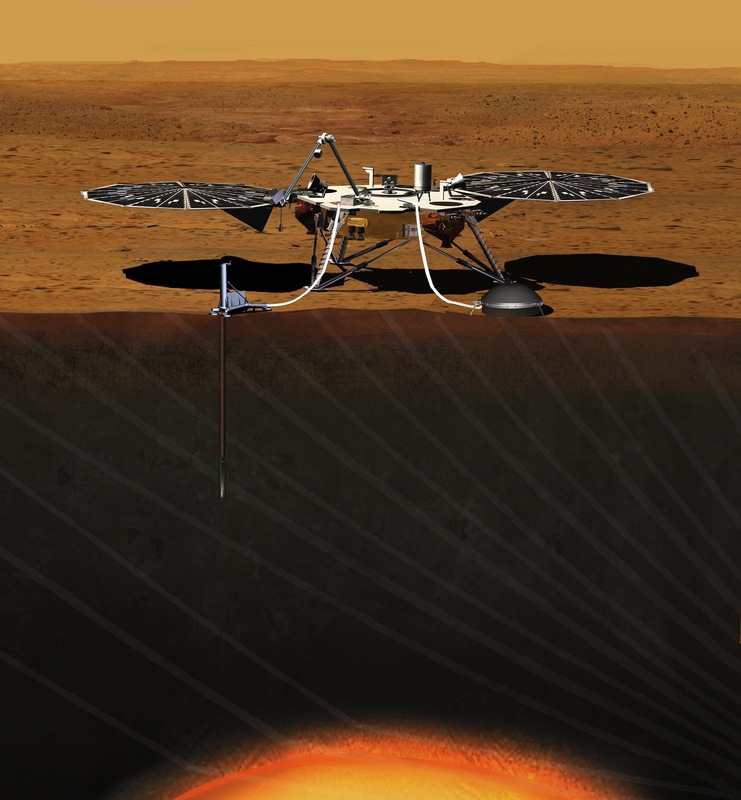 Unlike other recent surface missions on Mars, the Interior Exploration Using Seismic Investigations, Geodesy and Heat Transport (InSight) lander is just that, a stationary lander instead of a rover. Rather than exploring surface features, it will focus on studying Mars’ interior, to help scientists better understand what Mars is like deep underground, down to its core. This will also assist in the understanding of how smaller rocky planets like Mars and Earth formed. Elysium Planitia was chosen as the ideal region for a successful landing and mission. It is close to the equator, where there is plenty of sunlight for the lander’s solar arrays (similar to those of Phoenix, Opportunity and Spirit). The low elevation also provides enough air above the landing site for a safe touchdown, necessary in Mars’ thin atmosphere. A heat-flow probe will penetrate about (3-5 yards) into the ground, which will be able to measure the amount of heat coming from the planet’s interior. A seismometer will also look for any movement down below, ie. Mars quakes. The information obtained by these and other instruments will hopefully provide evidence as to whether or not Mars is still geologically active below the surface. More information about the InSight mission is available here. Paul Scott Anderson is a freelance space writer with a life-long passion for space exploration and astronomy. He currently writes for AmericaSpace, Universe Today and Examiner.com. His own blog The Meridiani Journal is a chronicle of planetary exploration. Want more? Follow TMJ on Twitter, Facebook, Google+ and Pinterest or subscribe by email or rss (right sidebar) to get the latest blog posts and other space news. Planetaria (formerly The Meridiani Journal) is a chronicle of planetary exploration, both in our own Solar System and beyond. 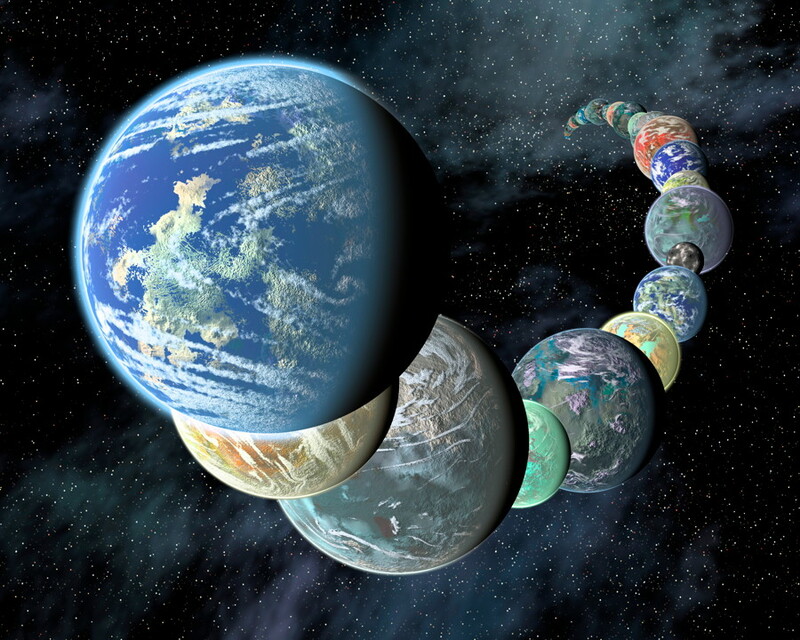 Many continuing discoveries, such as the geysers of Enceladus, the subsurface ocean of Europa, the methane rivers, lakes and seas of Titan, the mountains and glaciers of Pluto, the cold but beautiful deserts of Mars and the thousands of exoplanets orbiting other stars make this an exciting time of exploration and discovery. I publish Planetaria as a personal blog, a complement to my other freelance space writing for EarthSky and AmericaSpace.